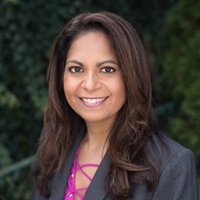 Sheela Raja, PhD is a Licensed Clinical Psychologist and author of Overcoming Trauma and PTSD, The Sexual Trauma Workbook for Teen Girls, and The PTSD Survival Guide for Teens. She is an Associate Professor at the University of Illinois at Chicago where she teaches Health Communication and Behavioral Medicine. Dr. Raja received her PhD from the University of Illinois at Chicago and completed internship and post-doctoral training at the National Center for Post-Traumatic Stress Disorder in Boston, MA. Her research focuses on the health effects of trauma, and trauma-informed healthcare. She is a highly sought after speaker and consultant and and frequent media contributor on the topic of PTSD and coping with traumatic events.